To understand what we hear from recordings we must first understand them as sources of evidence. Although initially the usefulness of recording was unclear, in the twentieth century the industry became profitable through focusing on entertainment. Providing consumers were entertained they were content not to enquire too closely into the distortions and illusions that recording created, especially as sound quality improved and relative prices decreased. Thus throughout the past 110 years records have been widely if naively accepted as surrogate accounts of live performance. Nevertheless, reading through the medium reveals the extent to which recording transmutes music-making. Even when production and record seem at one, as in much rock music from the 1960s when albums were created over long periods in the studio, records contain secrets that challenge preconceptions. Outlining the most significant is one purpose of this chapter. First, though, we need to know how to find recordings, and how to date and place them: then we shall be in a better position to ask about the sounds they encode. There are many discographies and other useful materials available via the internet, but it is often impossible to estimate how accurate the information is for there is less obvious editorial control or review than in printed publications. Nevertheless, a comprehensive online discography for a single performer, Eugene Ormandy for example, is often reliable, and when an institution like the London Symphony Orchestra puts up discographical information one has good reason to trust it. Digging into the frustratingly awkward catalogues of the great sound archives, such as those at the British Library, Library of Congress and Bibliothèque nationale, can often yield useful information, but each is riddled with quirks and uncertainties. We love Debussy's music intimately and yet detailed knowledge of it often seems remote and elusive. Doubtless Debussy would have been delighted, for the realisation that he had denied analysts and theorists their quarry and encouraged some writers to assert, metaphorically at least, the unknowable intangibility of his music would have suited him very well, as we know from his dismissive comments about harmonic analysis and so on. 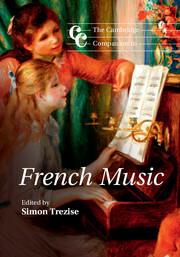 One can imagine his pleasure growing at the recognition that one of the most successful pieces of Debussy scholarship – in the analysis of his music – to come in the post-war years is Roy Howat's Debussy in Proportion, a brilliant study that, in revealing a crucial aspect of Debussy's compositional process, raises an inescapable question of what it means for our perception of the music: he takes us into a mysterious domain. Debussy in Proportion proves beyond doubt that Debussy used Golden Section and other ancient proportional devices in his music, for the examples Howat adduces, and others that have come to light since, are too compelling to be coincidence or the result of dark, subcutaneous forces. For example, in ‘Reflets dans l'eau’ the music reaches its loudest level in bar 58; bar 58 out of 94 bars is 0.62 of the piece, which is very close to Golden Section (the golden proportion is 1 : 1.618). Having established this, however, we then have to ask, as Howat and many others have done, how we listen to proportion in music.